Since it seems that the rainy season has started, having something hot and steamy like noodles and soup would hit the mark. At BAWAI'S VIETNAMESE KITCHEN, they make sure you get your money's worth. A new branch of BAWAI'S has recently opened in BGC UPTOWN PARADE. Almost infront of one of UPTOWN MALL'S Entrance and just underneath the foot bridge connecting parade and the mall, you won't be able to miss it. One could start off with some drinks. 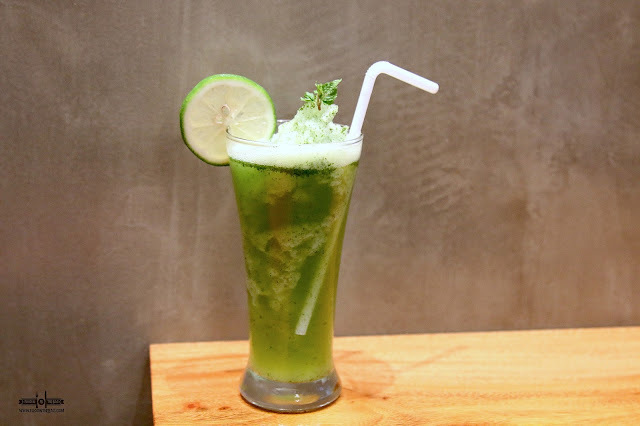 Aside from the usual coffee, you might want to try out the lime mint shake. One sip and it would give you a jolt. A perfect wake me up if you will. A visit to a BAWAI'S would not be complete without having the GOI CUON. 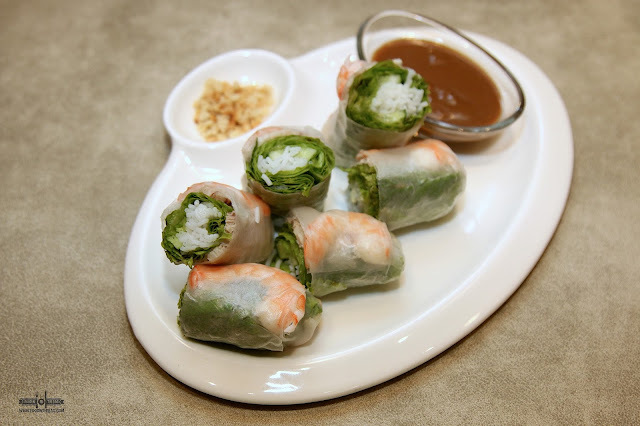 The traditional Vietnamese fresh spring roll, pork and shrimp goes well together. Having it dipped in the sauce and nuts give it more texture. When one talks about Vietnamese dishes, it would usually lead to having noodles. 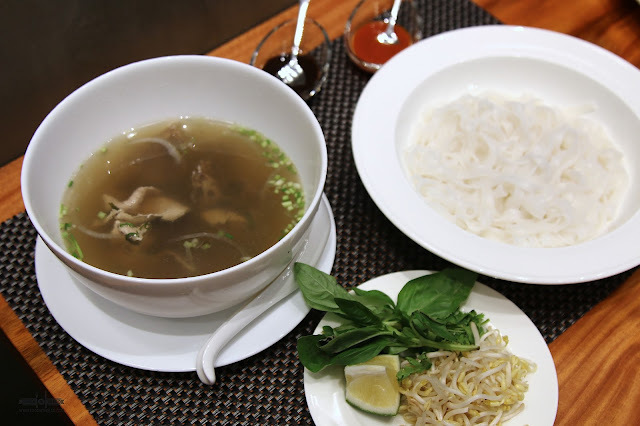 the PHO BO is the traditional take of Vietnamese cooking to beef noodle soup. Granted that it might taste a little too bland for some, having lime, vegetables, and sauces on the side would do the trick. Here, is the deconstructed version. For something heavy, the COM SUON CHA would do the trick. 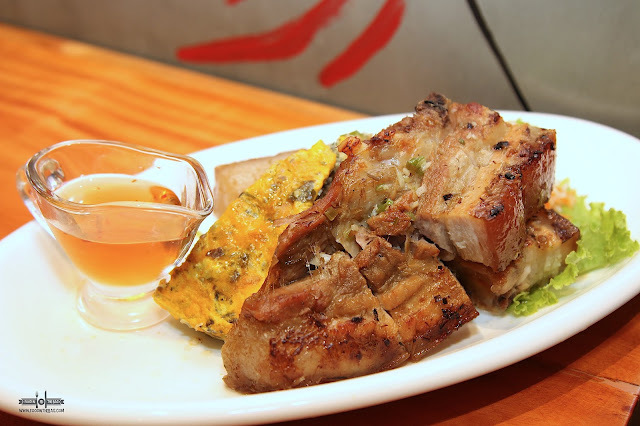 This is grilled pork belly with a glaze of caramel and lemongrass marinade. 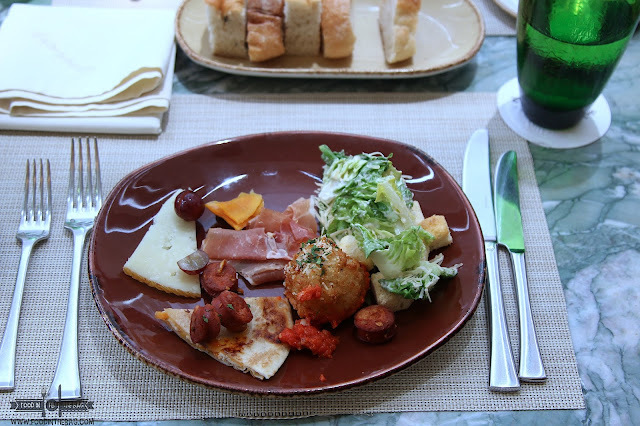 Served with a mushroom egg pie, this goes well with a hot bowl of rice. 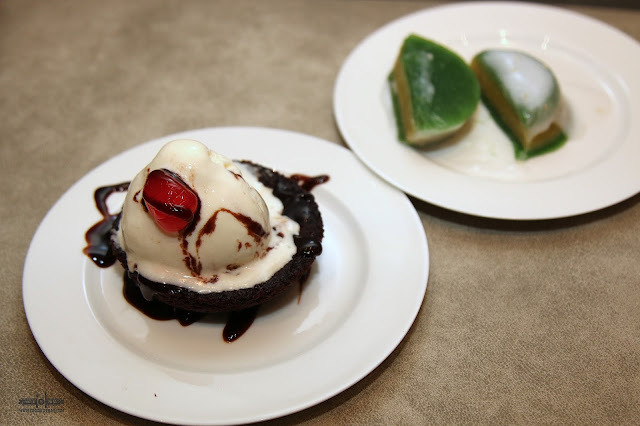 To end the meal, you could go for their home made brownie dessert topped with ice cream or something traditional. The BAND DA LON is a yellow mung bean and pandan cake with coconut paste. BAWAI'S in BGC'S UPTOWN PARADE has recently opened it doors to the public. 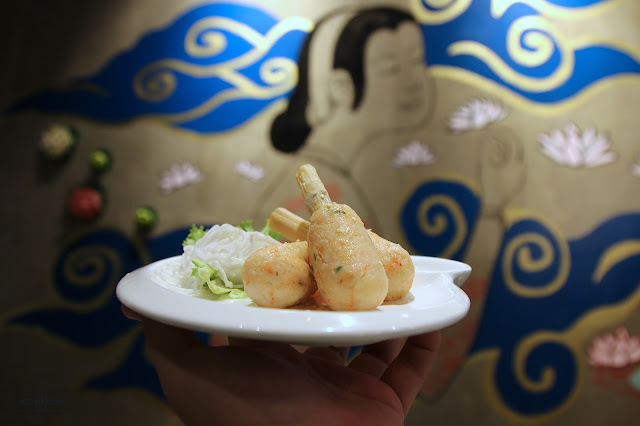 Serving healthy dishes that are perfect for the weather, we get to see how VIETNAMESE cuisine has evolved over the years. From their main branch in Silang Cavite to the other one in White Plains, this expansion to BONIFACIO GLOBAL CITY is a welcome treat.